Welcome back, sorry that I have missed a few, but we are back to reviewing comics every day! 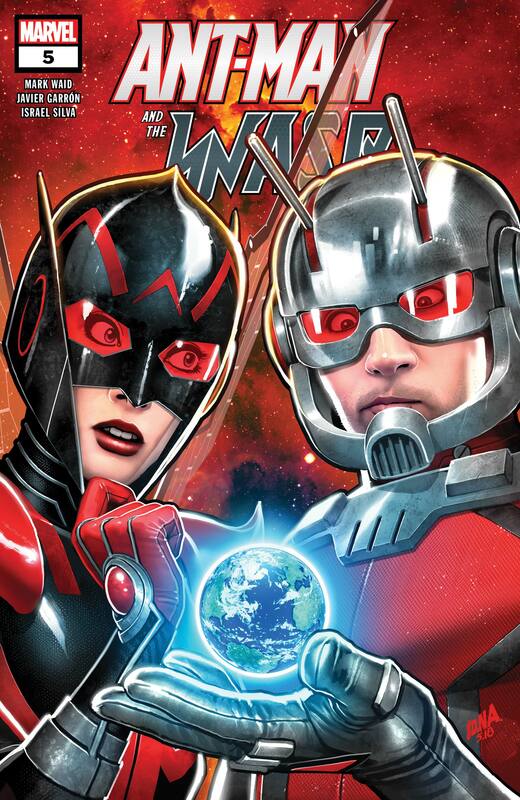 Today, Seppin is going to be reviewing Ant-Man & The Wasp #5 written by Mark Waid and art by Javier Garron. Ant-Man and the Wasp is ultimately a tie-in for the movie that just came out. Although instead of Hope van Dyne(Who isn’t from the comics), we have Nadia Van Dyne. They are basically the same character except that Nadia is younger than Hope. I am not the biggest fan of this book because it feels like a cash grab after the movie came out. It has some fun moments, but it all just starts to mesh together and become very uninteresting. In this issue, we are STILL trying to get back to the right Earth so that Scott can go to his daughter’s birthday party. This has been lasting five issues, which shouldn’t be that bad except for the fact that each issue feels like an eternity. I don’t know if it is just me, but I often dread reading this book because it has a lot of annoying dialogue and uses a lot of scientific theories that aren’t fun for the reader to learn. I read comics so that I can get away from College, I don’t want to learn science in a comic book! Overall, this whole series has a large dollar sign on it with Mark Waid’s name plastered on the side.